Our TPT store has FREE downloads you can use in your classroom. I have previously written about the uses of Twitter in education. I’m a big fan. Have you noticed your students are big fans too? Use this twitter activity to brainstorm or formatively assess student learning. 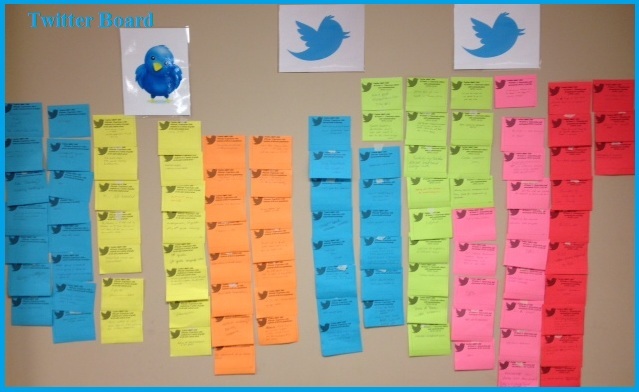 Our Twitter Activity includes directions and Twitter templates to use with students. This activity can be used as an Exit Slip to create a classroom visual. This product is a zip file which includes a PDF with directions and an editable Word 2010 Twitter Card document. Browse our store and get this Free Download. We would love to hear how you use it in your classroom. Add your ideas to the comment section below.